Designer David Dale, Golf Plan Inc. 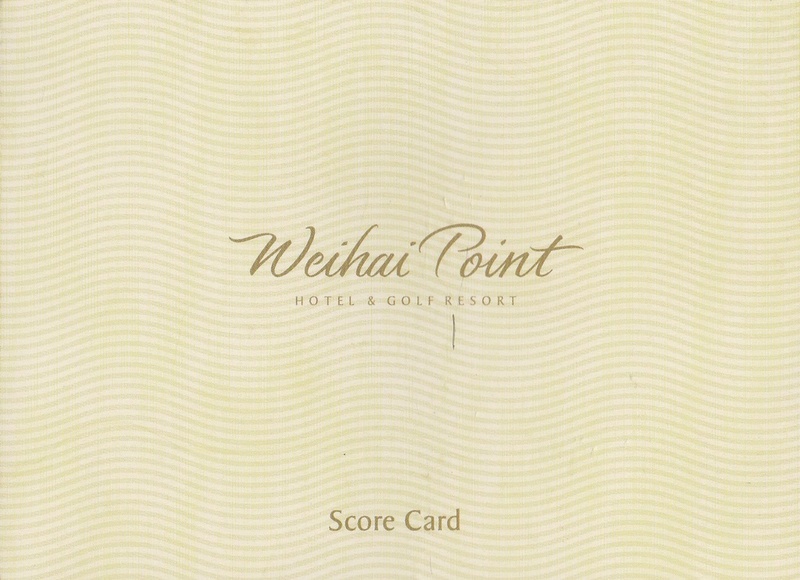 The Wehai Point Hotel & Golf Resort consists of a seaside course that is located on a sheer cliff. 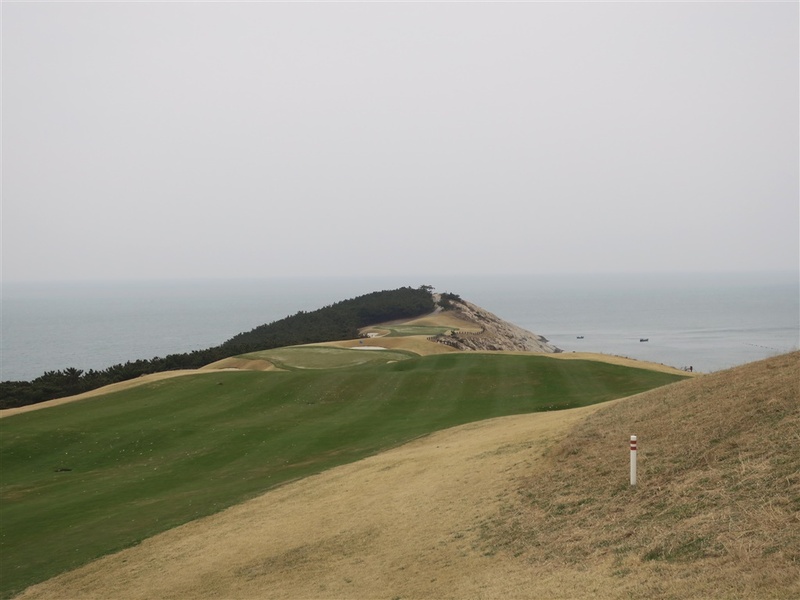 The course has many ups & downs and players can enjoy the various dramatic holes that are located along the edge of the ocean. 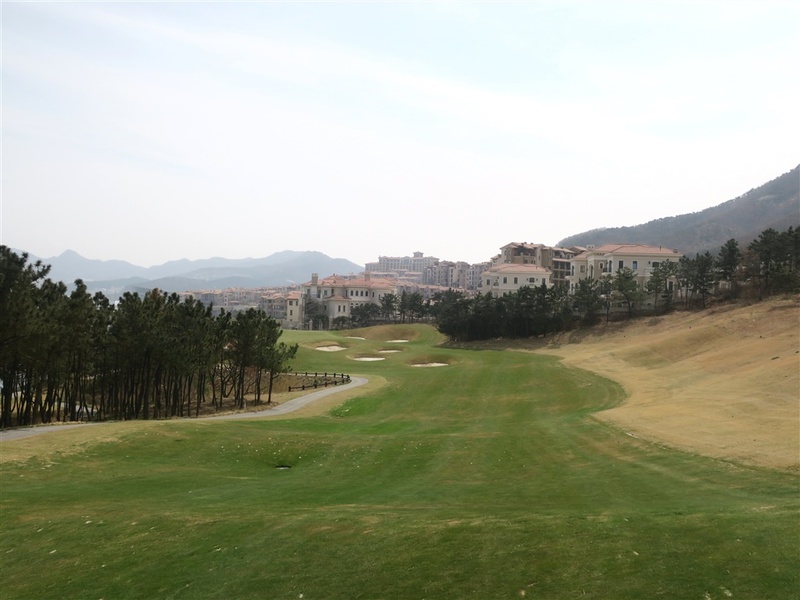 Originally named the Pan China Golf Club, the course was renovated and overhauled 2008 by professional designer David Dale. 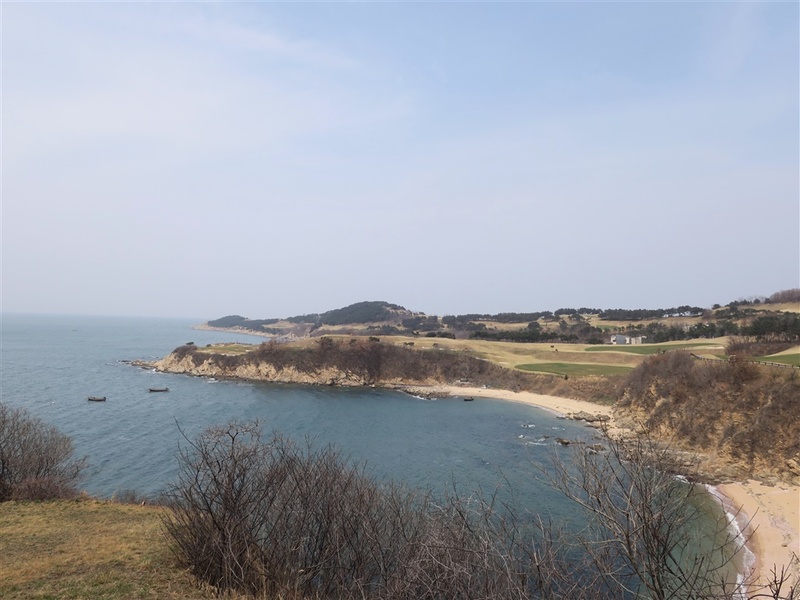 The first nine holes are located at the end of a very narrow terrain that protrudes into and back from the Yellow Sea. 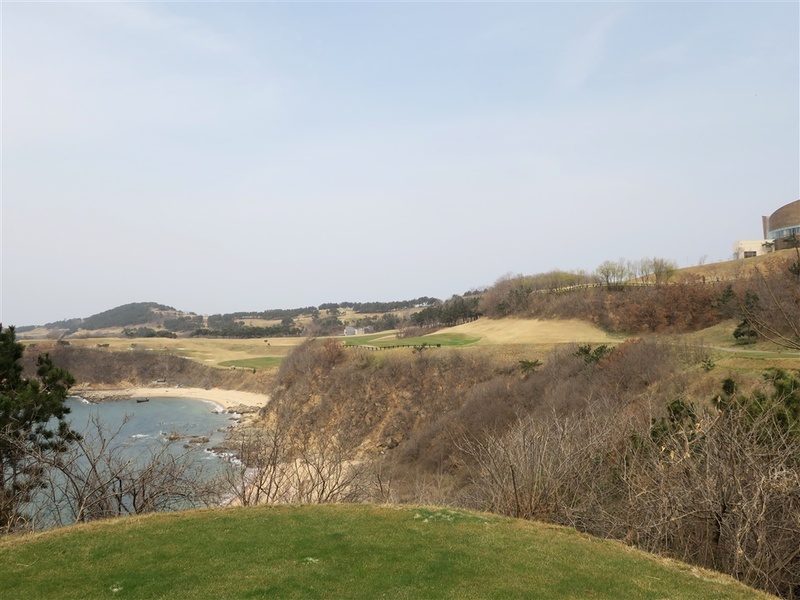 The 10th to 13th hole makes use of the right seashore line that can be seen from the clubhouse. 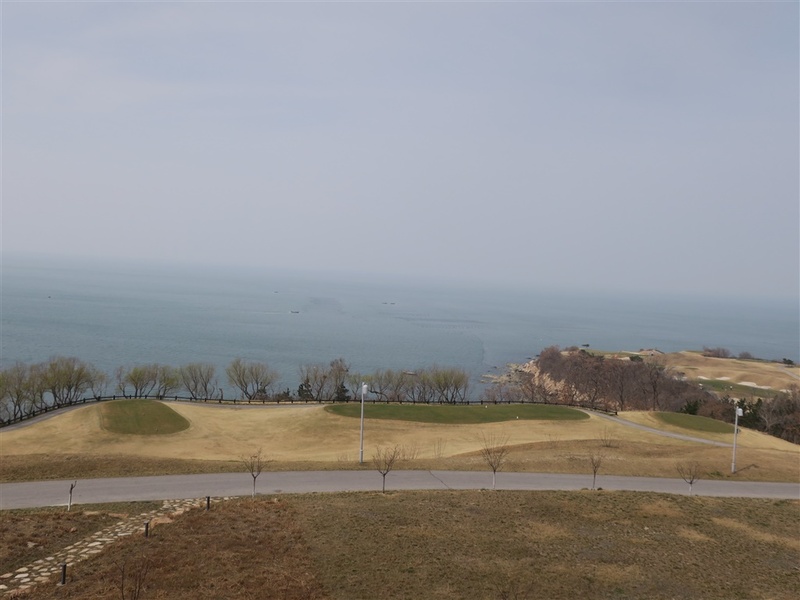 Finally, the 14th to 18th hole utilize the left seashore line of the course. 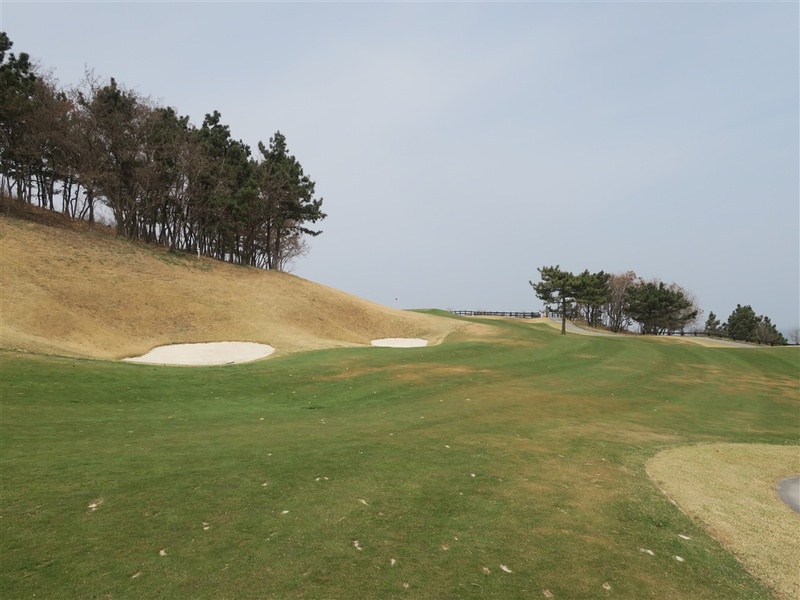 Sixteen of the eighteen holes are laid out alongside the thickets of the shorelines. 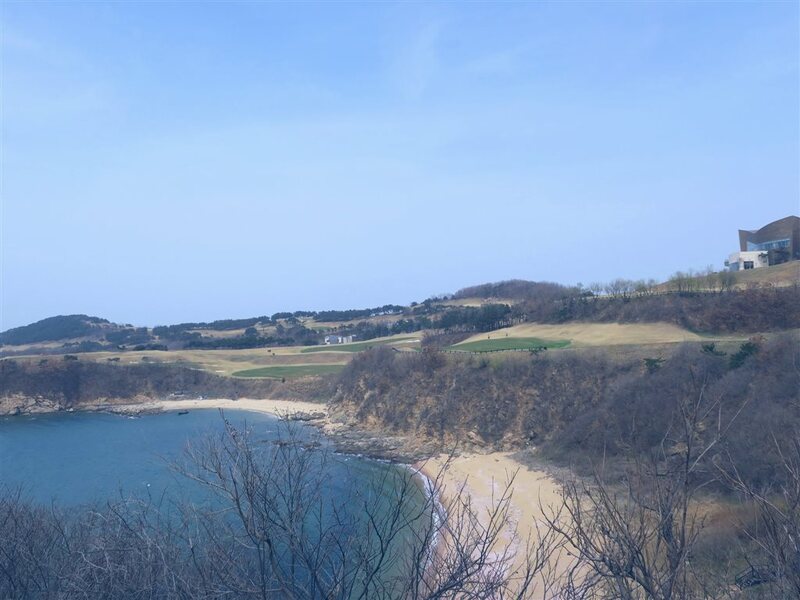 Four of those have dramatic greens where the ocean come into play on both sides. 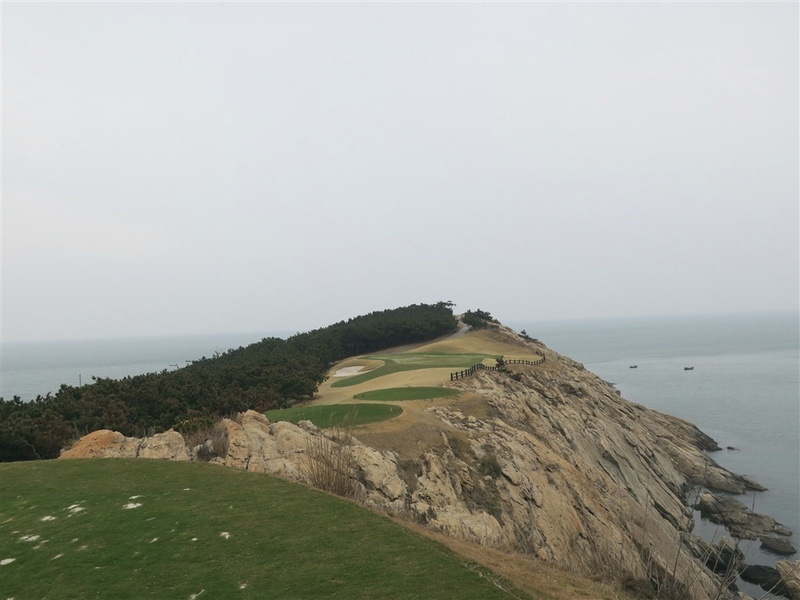 Finally, there are two holes that consists of over-the-ocean tee shots. 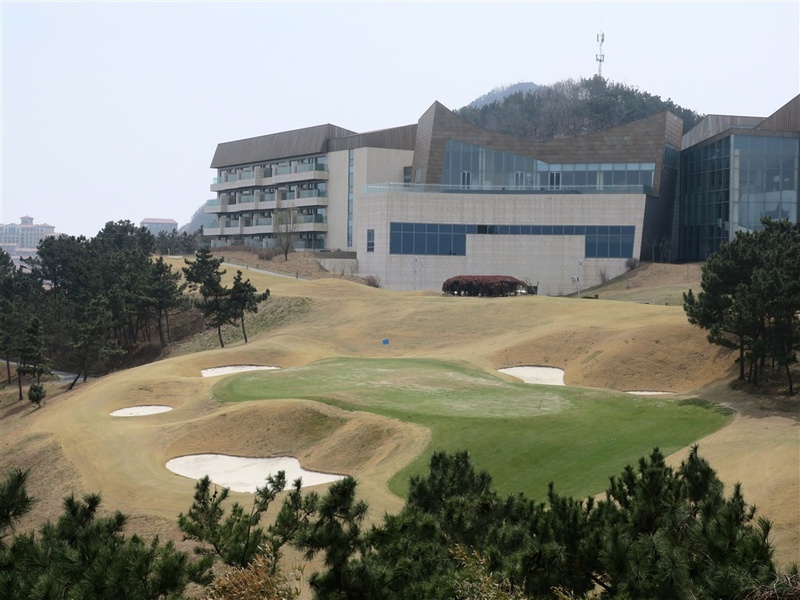 The greens often undulated and surrounded by strategically placed bunkers. 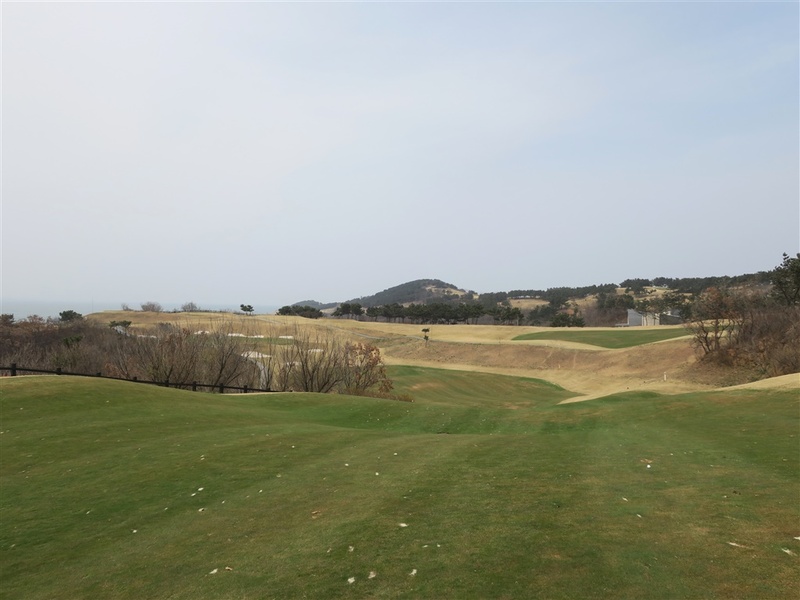 Due to the topographically limitations, the course consists of many narrow holes. The prevailing sea winds also gives the player an additional challenge. However, the overall distance is not long (a little less than 6500 yards) in comparison to today’s standards. 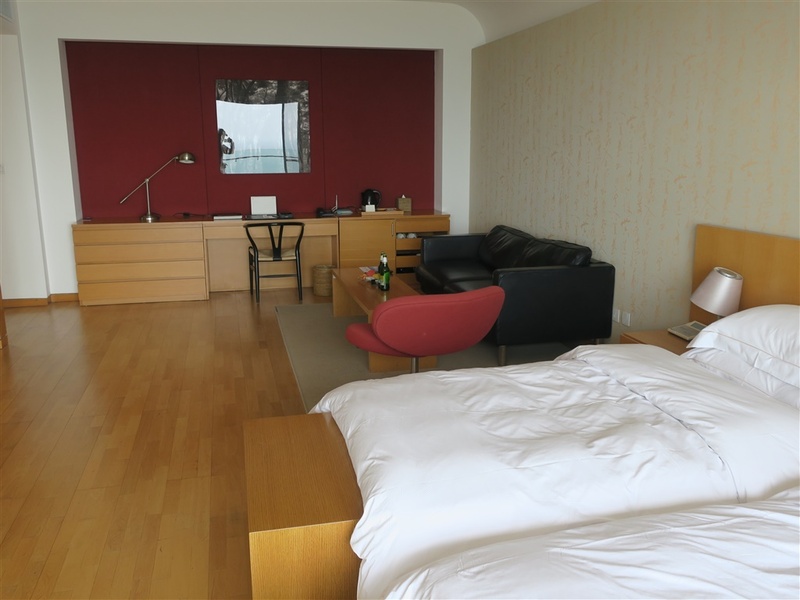 This compensates for the fact that it is a narrow and windy course. 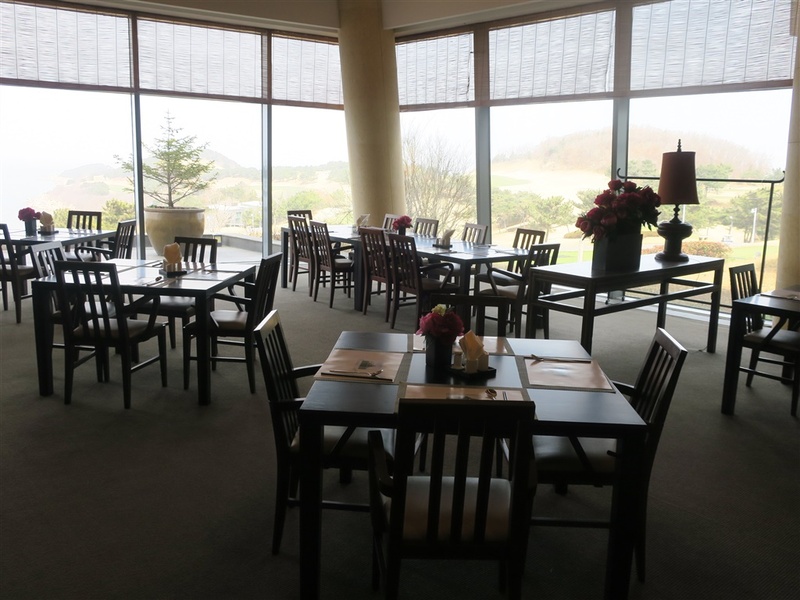 It is possible for players to score well, as long as their course management is solid. Nevertheless, players must think a lot during the play itself. For example, when a lay-up is needed, players must think about choosing a side which they believe is safer for a bail-out area. In my opinion, there are more memorable holes during the back nine. 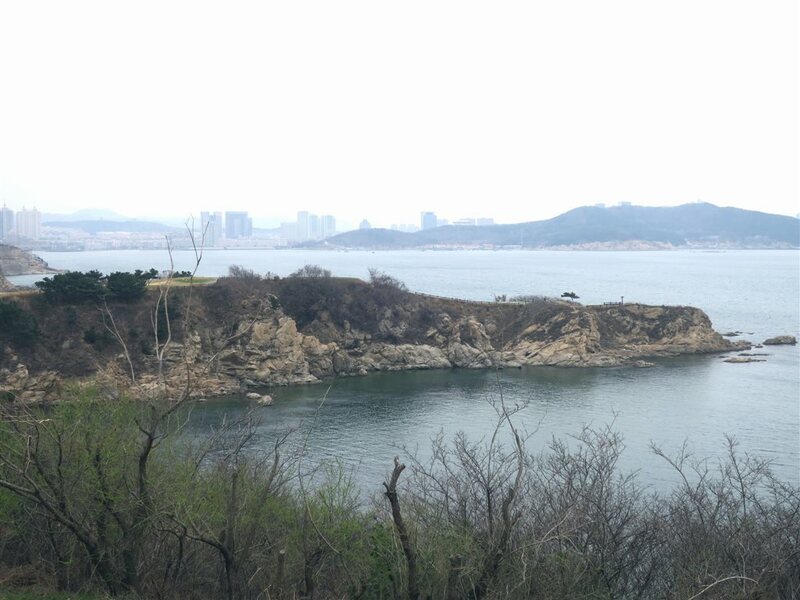 Overall, the 6450-yard short distance shouldn’t fool players as Weihai Point is a very challenging course. This course will impose a stern test on a player’s physical, as well as mental skills. 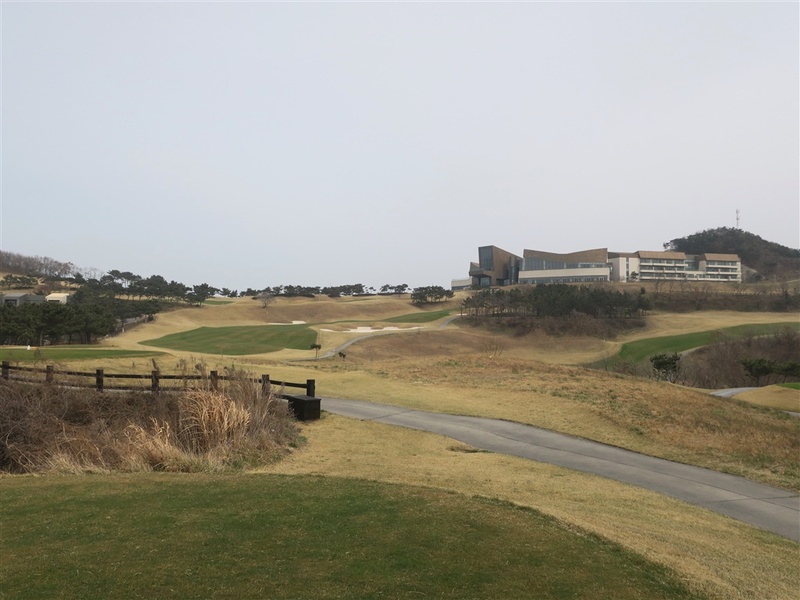 Even if a player’s score is bad or they lose a lot of balls, the experience can be quite forgiving as the superb panoramatic ocean views from narrow sheer cliffs more than make up for your standard experience. I truly believe that no other golf courses could have the same, nor a similar experiences. The third hole is a drivable par four that consists of a slight dogleg to the right. 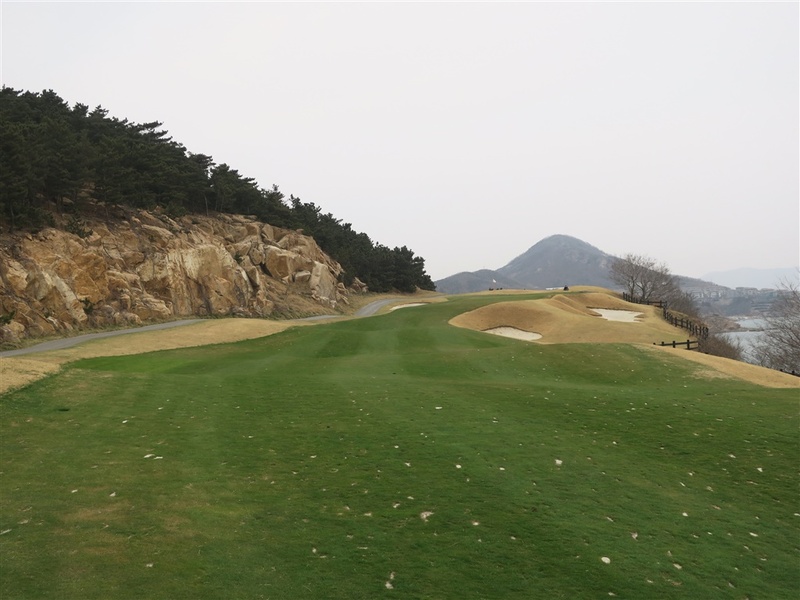 Since the hole consists of a relatively strong downhill slope, players can drive down the narrow fairway landing close to the green. However, this is also a risk/reward hole. The further a player hits, the narrower their landing area is. Players need to make a decision whether lay-up before the green or not. 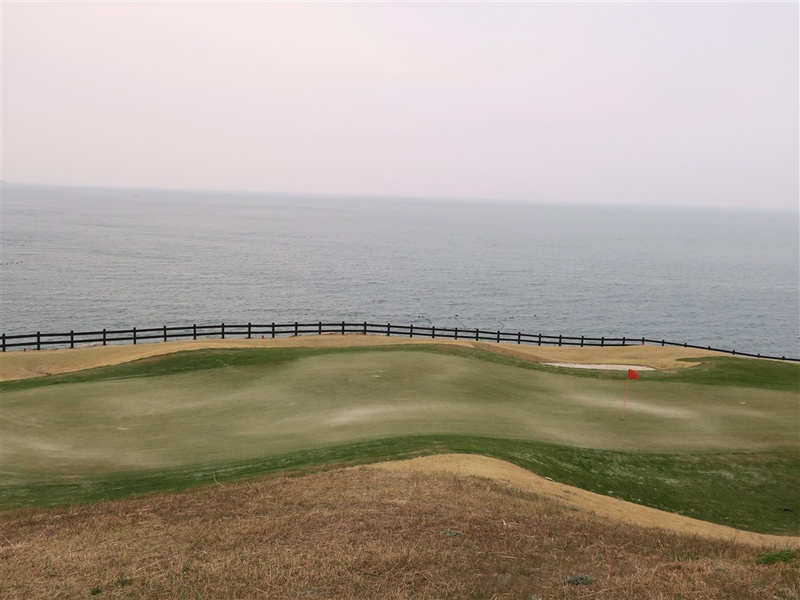 The fact that both sides of the green, sloping from back to front, are guarded by the ocean makes this hole quite unique. 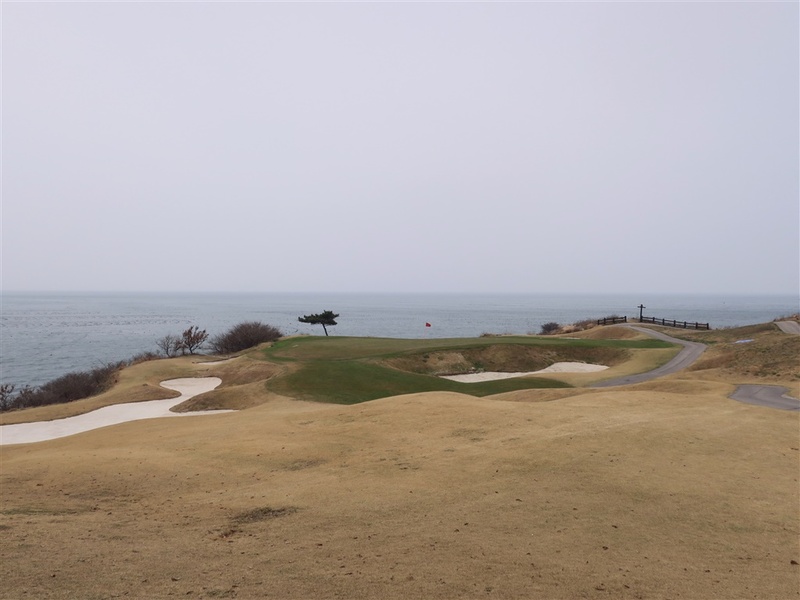 The 5th hole is a par three in which the ocean spreads alongside the hole’s right side. 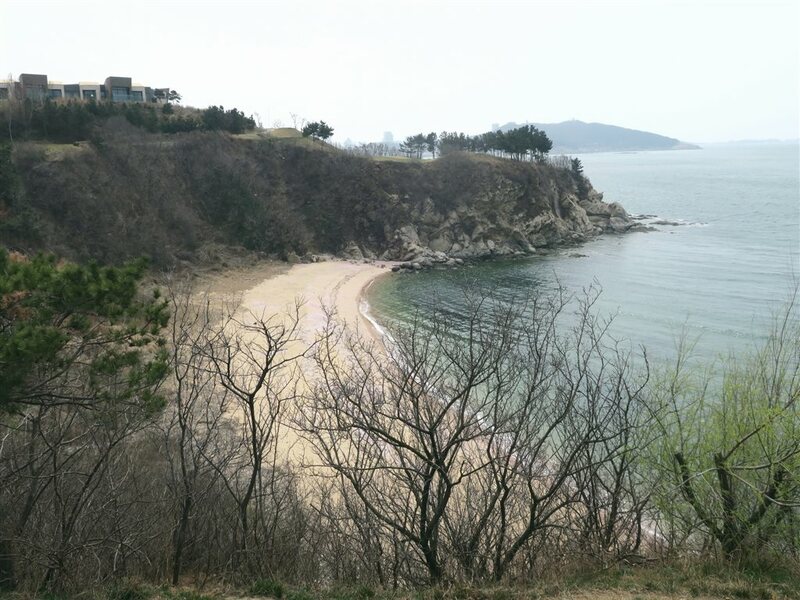 The teeing ground is on the top of a small cliff that protrudes into the sea. This hole will be a semi-blind tee shot. 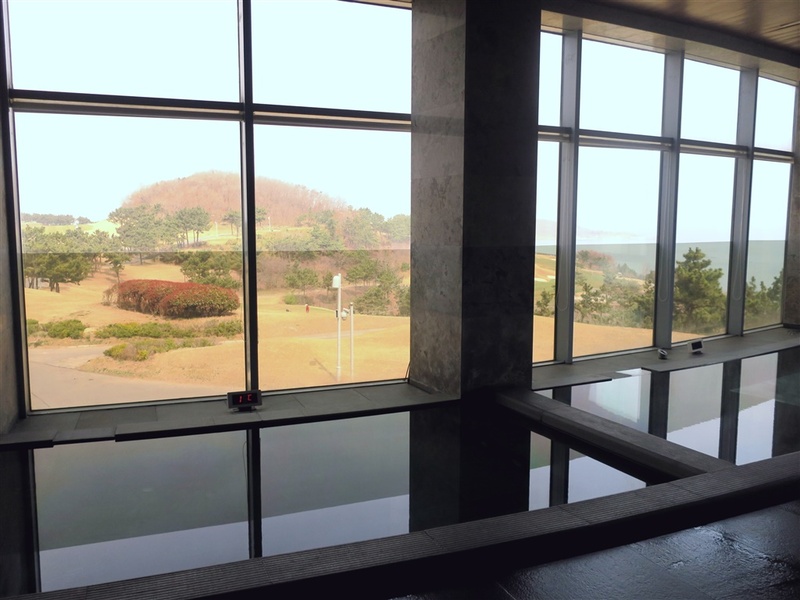 There is a bunker located on the right side of the hole. 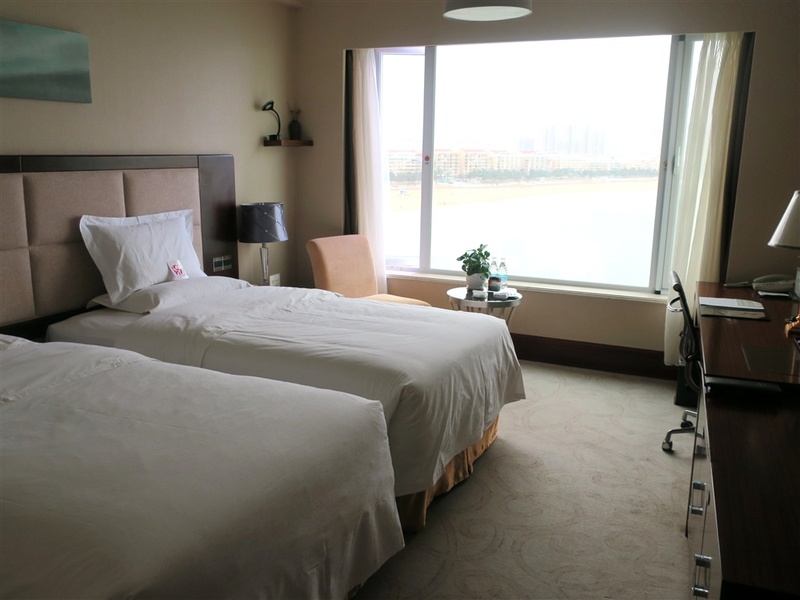 The green is vertically narrow and two-tiered. 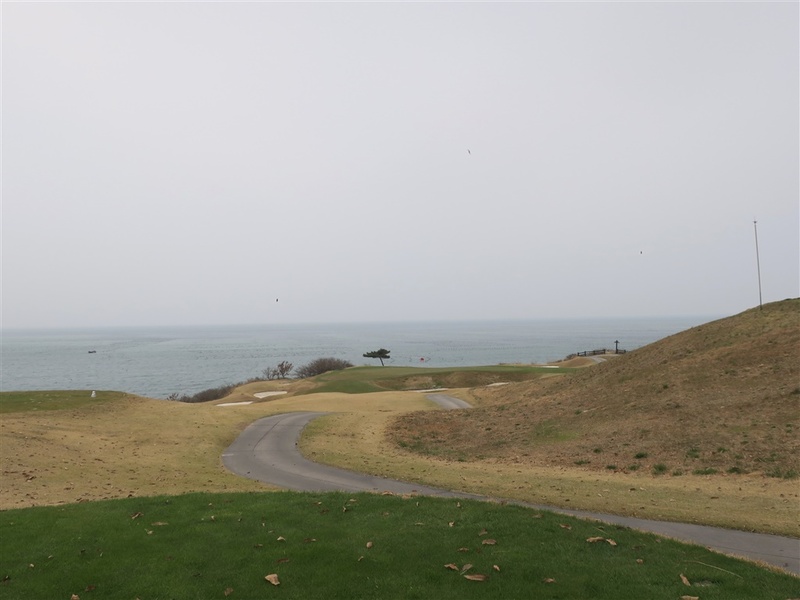 The sixth hole is a par five that consists of a slight dogleg to the right with the ocean spreading on the right. The slightly uphill tee shot is blind and you may have trouble landing your ball onto the tight fairway. The second shot also has a narrow landing area. 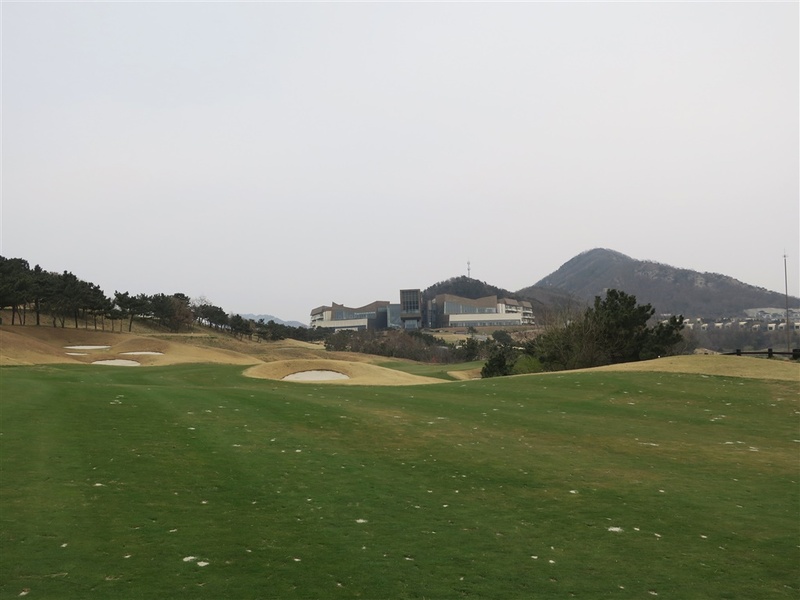 Bunkers are arranged in front, to the right, and left sides of the green. The greenside bunkers on the left and front should be avoided at all cost as they are quite deep. The green is two-tiered, long, and narrow. This is a hole in which accuracy is required for all three strokes. 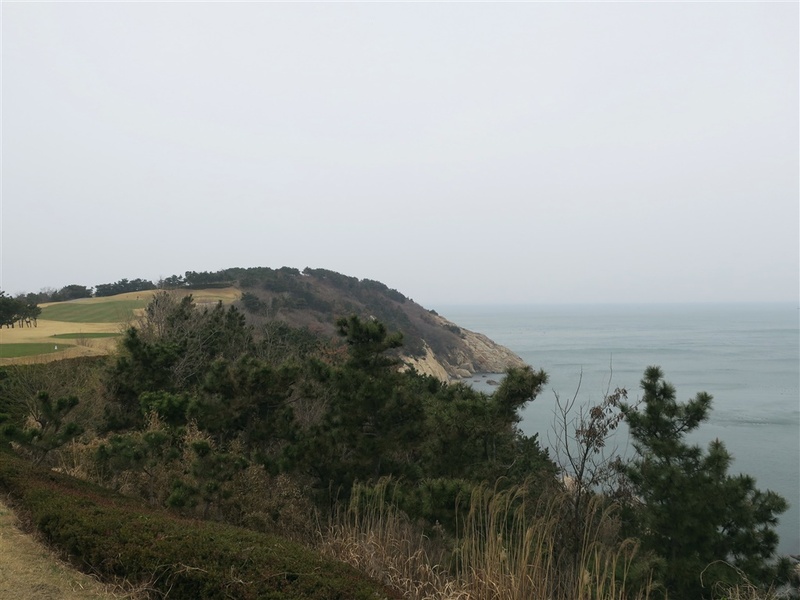 The eighth hole consists of a dogleg to the right with a cliff along the entire left side. The second shot is a gentle downhill. 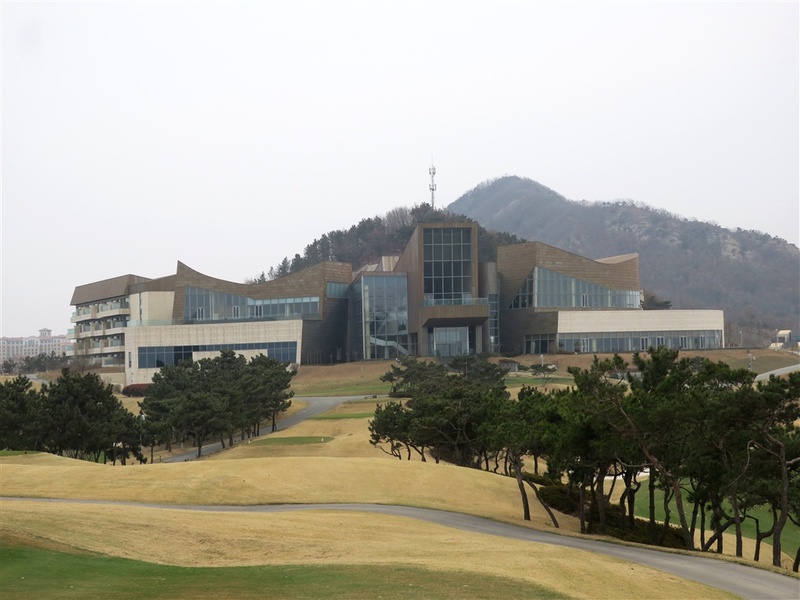 The green is guarded by bunkers on its left and right, and a cliff that runs alongside the green’s right towards its back. The green is vertically long and its back left is on the highest point, sloping down both to the front and to the right. 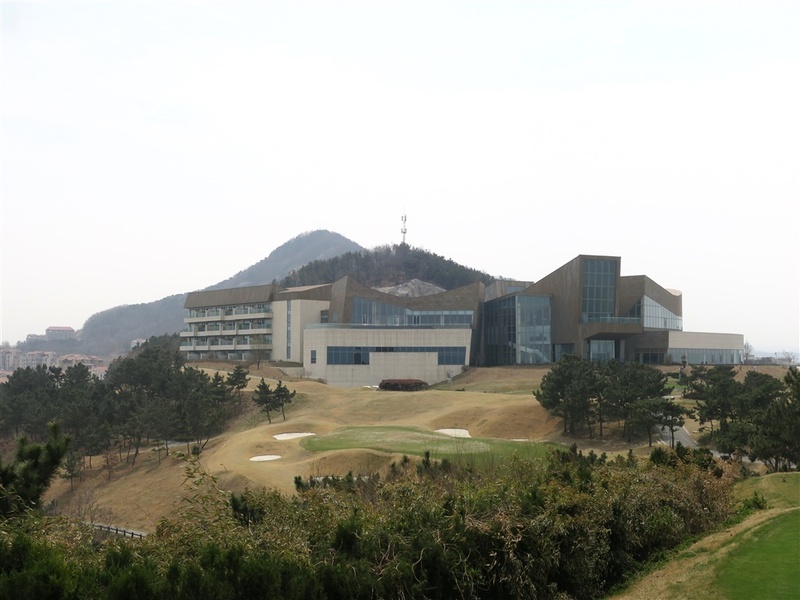 The 10th hole is an almost straight and strong downhill. Although it is narrow, you can hit the green in two as long as your tee shot is long and straight. The green is swung to the left, and is protected by six bunkers around the green with a sharp drop off on the left. 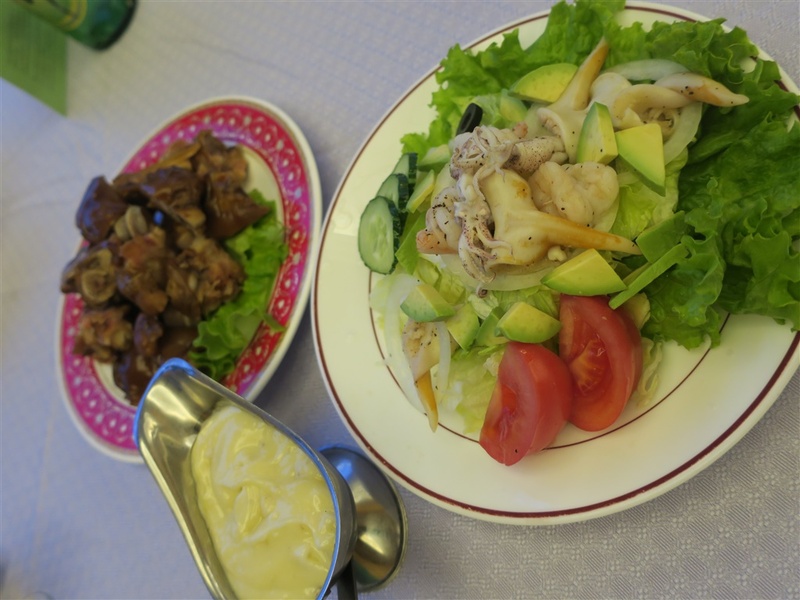 The green is highly elevated and two-tiered. 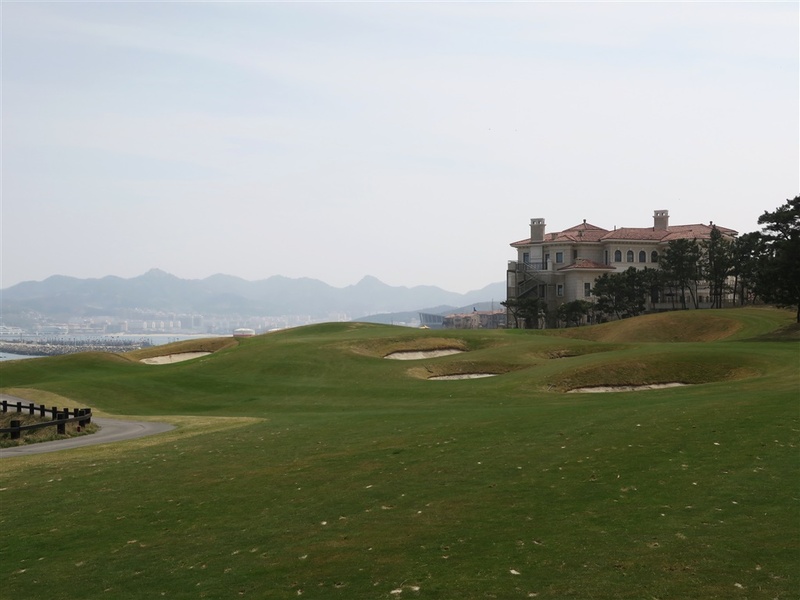 The twelfth hole is a signature hole that bends to the right. 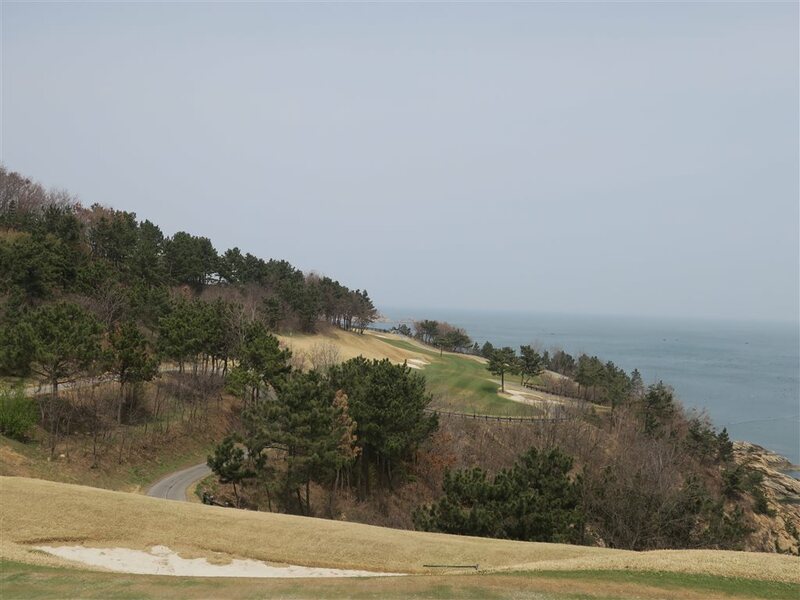 The tee shot must carry a ravine and over the ocean. This will require a carry of 180-230 yards. 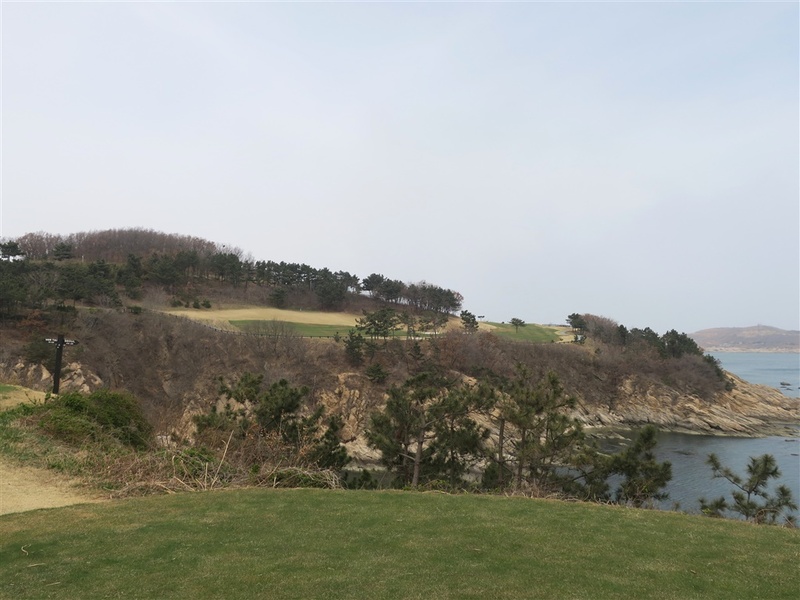 There are several trees that line up along the other side of the cliff, therefore, a high trajectory of balls off the tee is required to clear them. 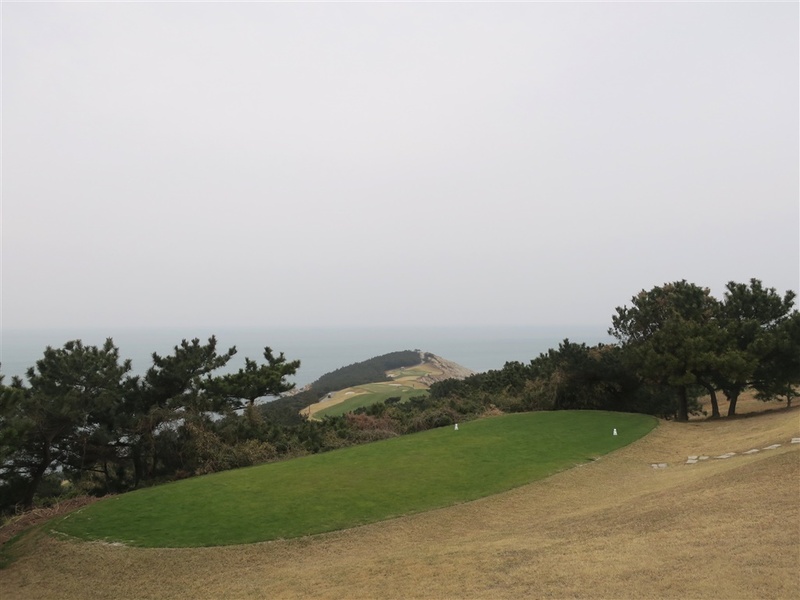 The second shot is an uphill semi-blind shot onto the green that is guarded by three bunkers on the left, a bunker at the back left, and the ocean on the right. Achieving a par here would be considered a good score. 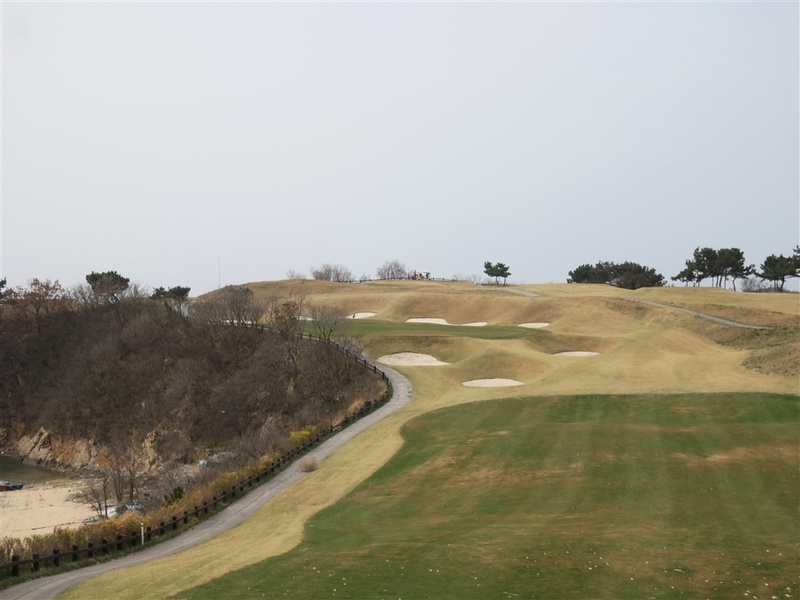 The thirteenth hole is downhill and influenced a lot by wind. 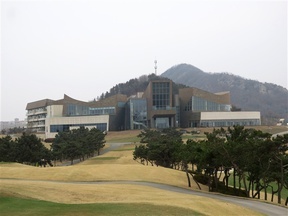 The green is protected by a deep bunker on the front left. The fifteenth is a short par 4, bending to the right with the ocean on the right. Long hitters can hit the green in one shot although the green is blind. 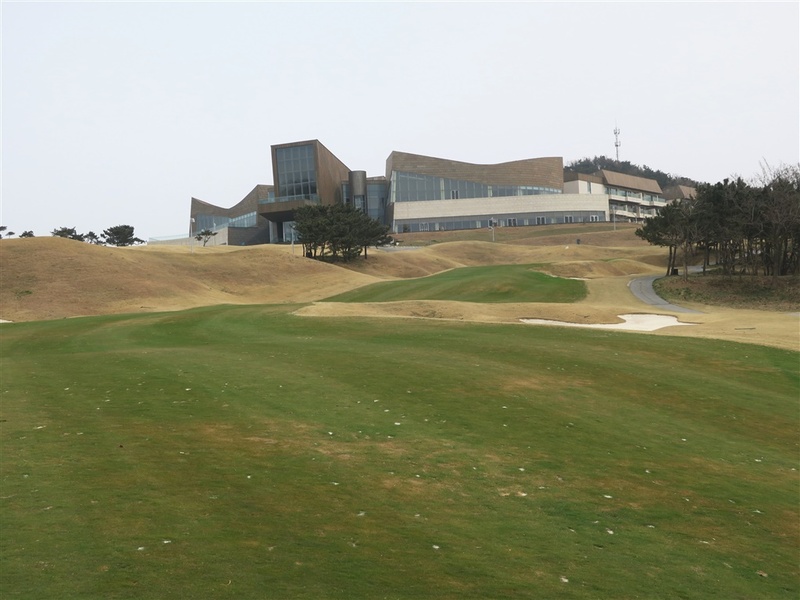 The green is slightly elevated with a deep bunker guarding its front side. 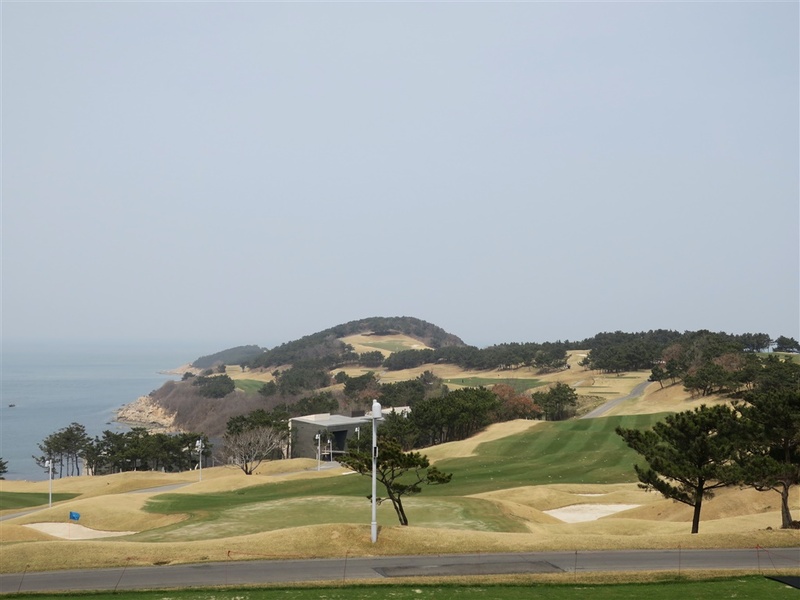 The green, sloping to the left, is also protected by another bunker at the back and the ocean on the left. The sixteenth hole is another signature hole. 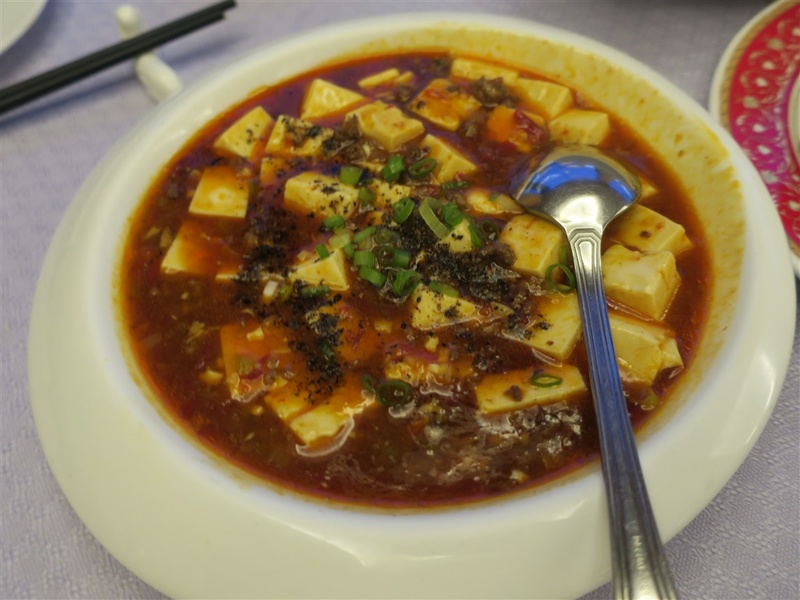 It is a dynamic hole that bends twice to the right. 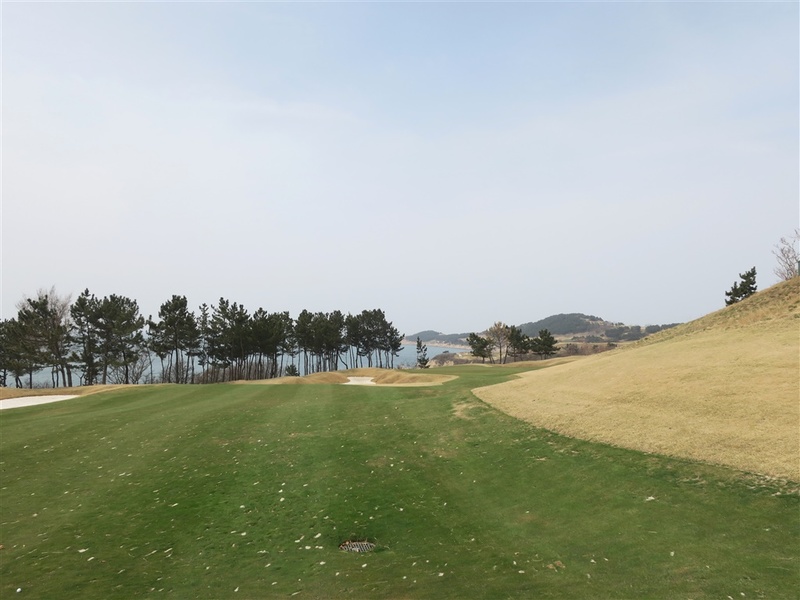 The tee shot is a downhill over-a-ocean shot that will require the ball to land onto the narrow fairway that is guarded by the same ocean on its left. 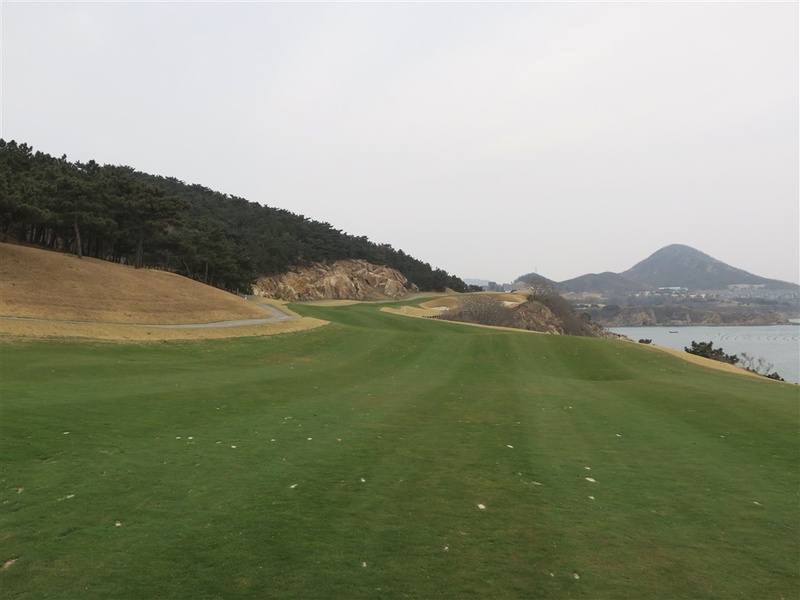 If a player’s drive is over 230 yards, their ball will roll down the sharp downslopes. From there, they will find their ball at about 50 feet below from the upper fairway and will enjoy the additional 100 yards or so. It is possible land onto the green in two shots. 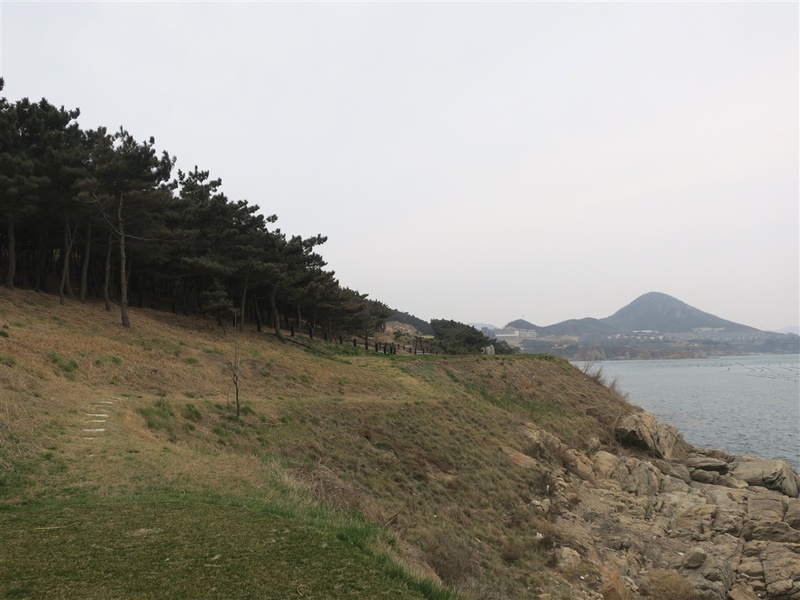 However the longer players hit off the tee, the narrower the landing area will be on this hole. 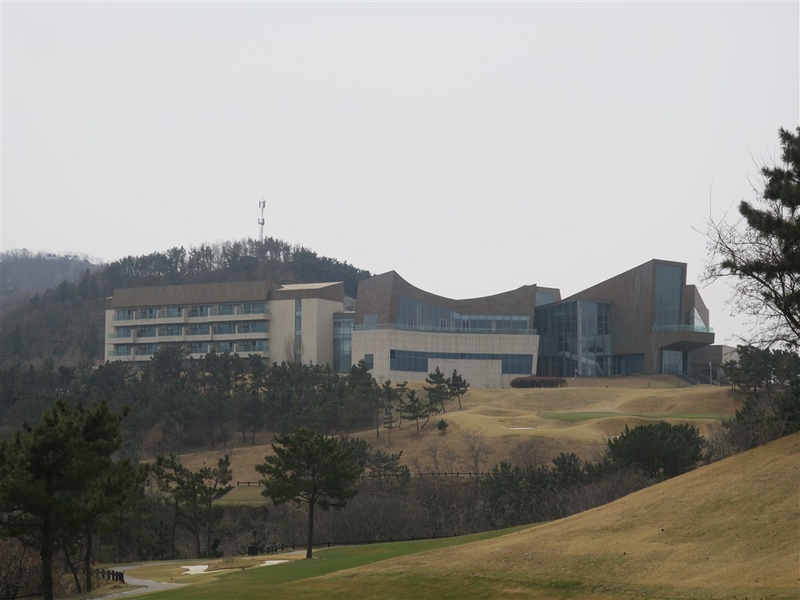 Therefore, players will have to make a decision whether to use a driver for a two-shot or to lay-up safely. 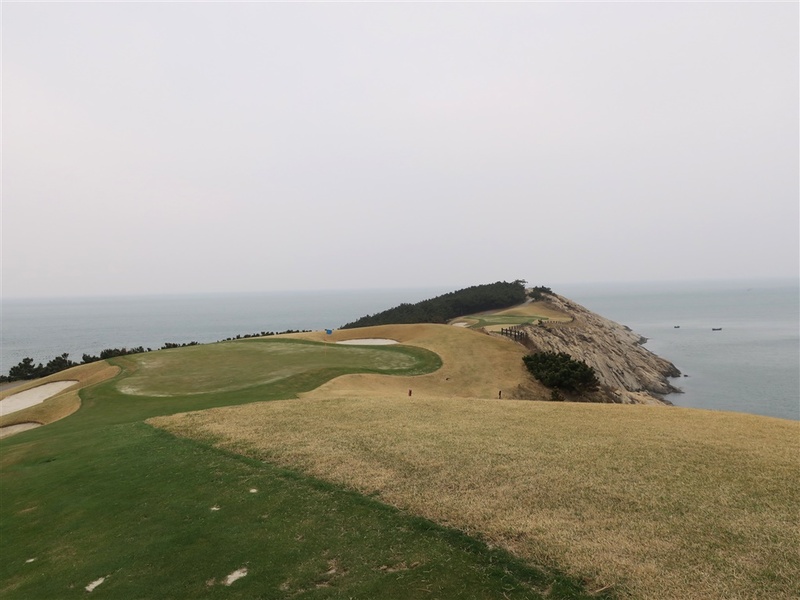 The approach shot can be quite demanding since the green is highly elevated as there are three deep bunkers in its front, four bunkers in its rear and right, and the ocean on its left. The putting can also be difficult as the green has several undulations. The seventeenth hole is downhill. 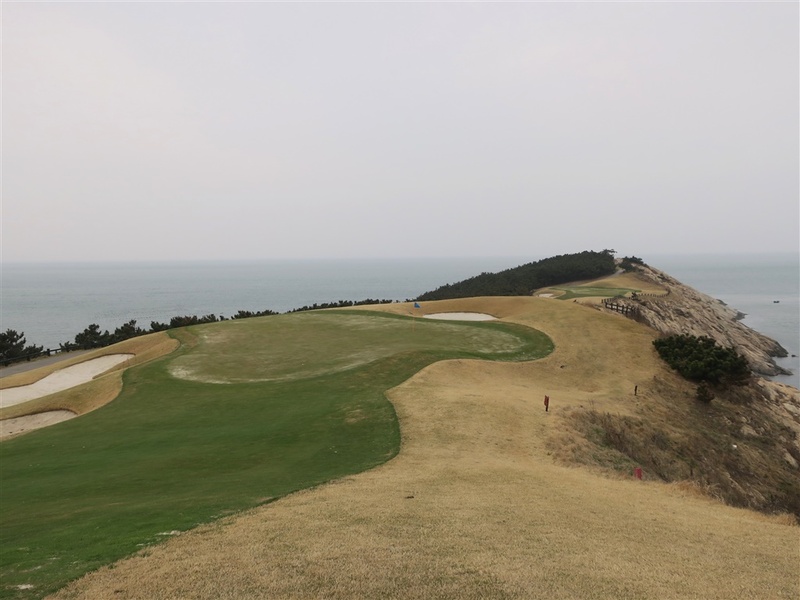 The green, sloping to the left, is shallow with a deep bunker on the front and the ocean boarding from left to the rear. 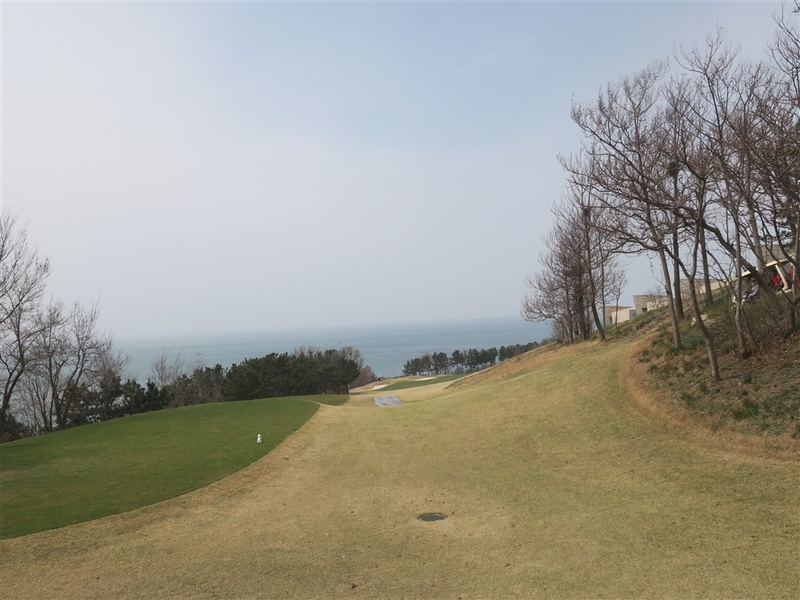 It is a short par 3 but is important to hit the right distance taking the sea wind into the consideration. 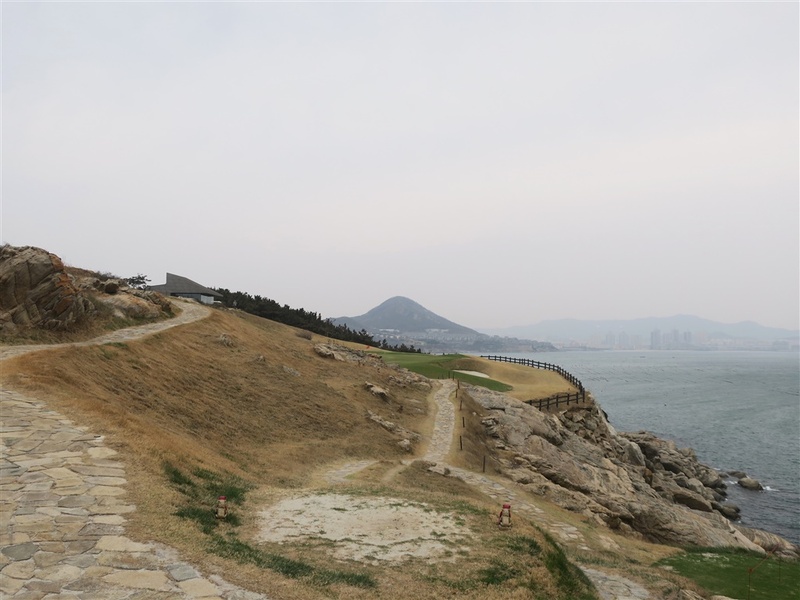 The finishing hole is a dogleg to the right and strongly uphill. 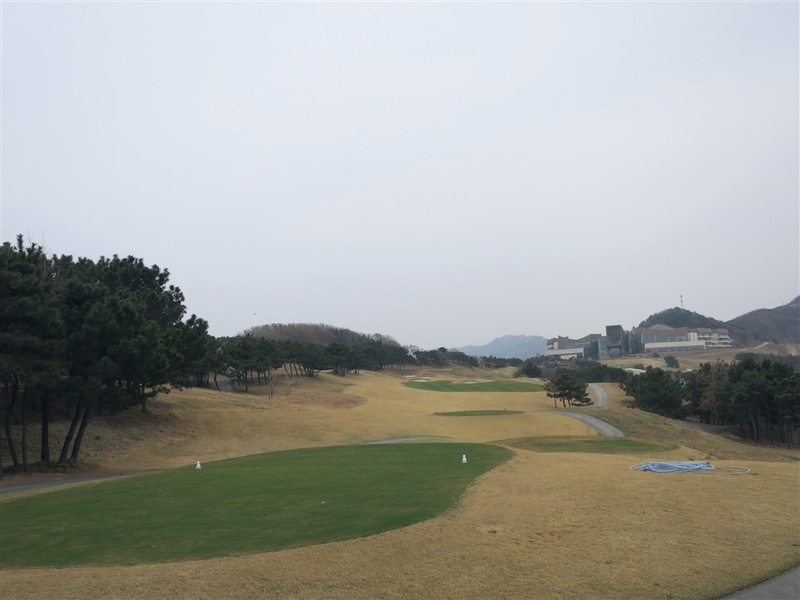 The green is vertically long and narrow with bunkers on both sides. Both accuracy and distance are needed on the approach shot. 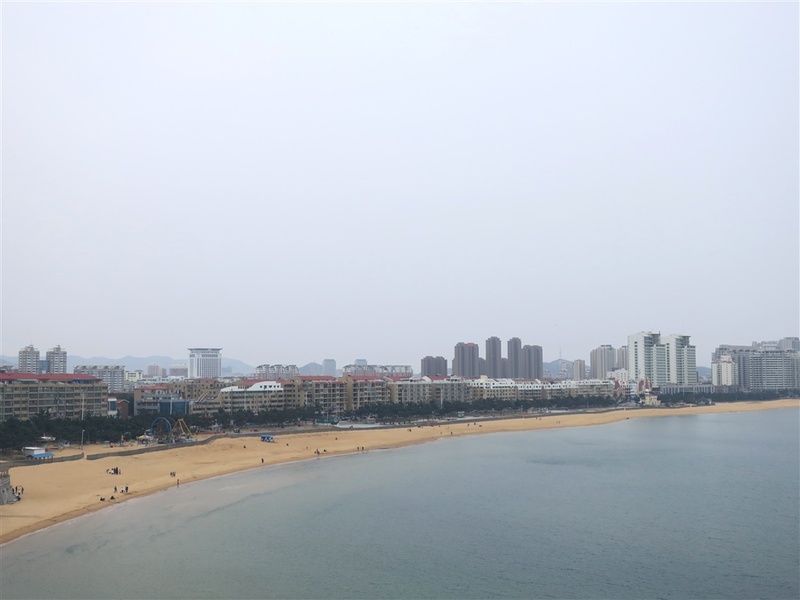 It takes 1 hour & 20 minutes from Yantai Airport, 20 miutes from Weihai, and about 3 hours from Qingdao. 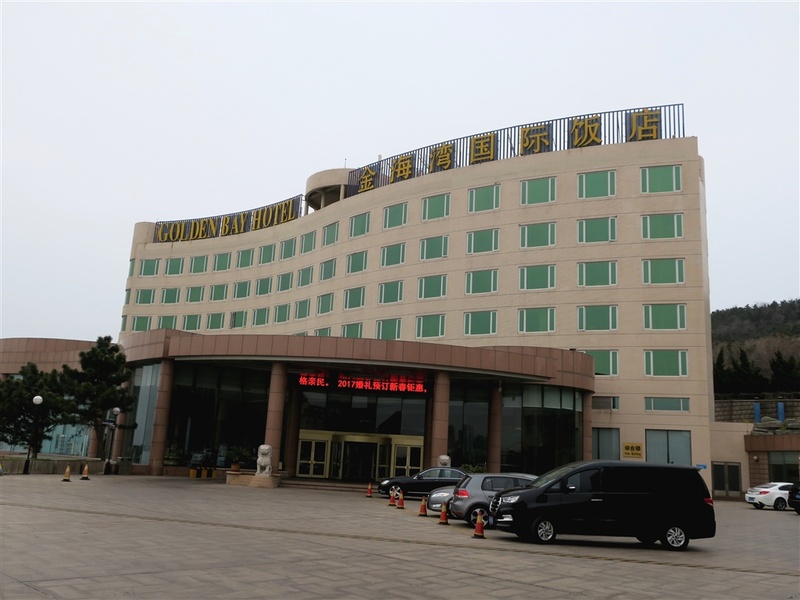 The clubhouse and Weihai Point Hotel is in the same building. 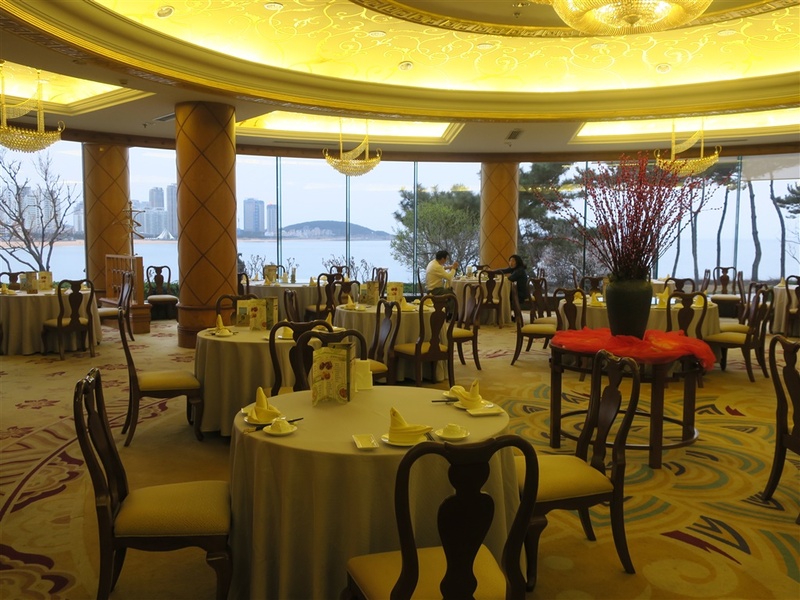 I stayed Golden Bay Hotel, 10-minutes' drive from the course and had a dinner in the hotel. 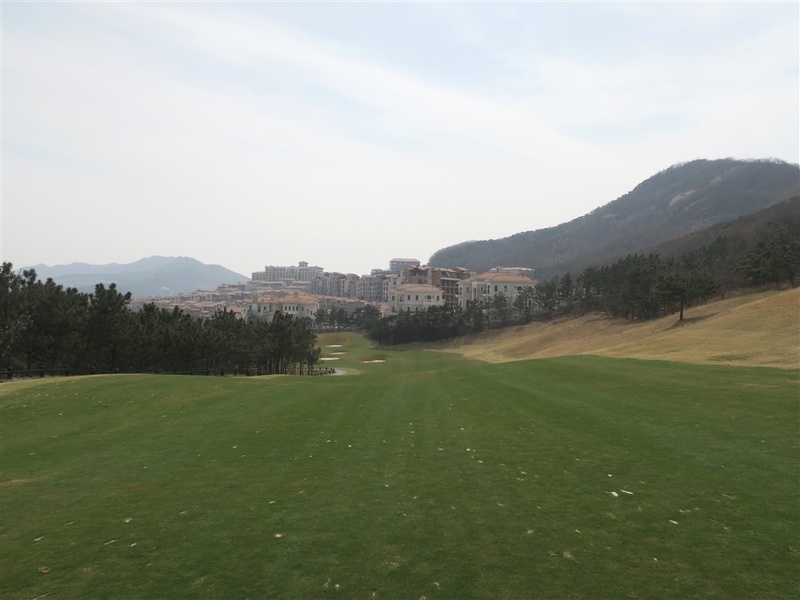 The other Golf Plan Inc. and David Dale designed courses in China are Qiandachu CC, Grand Dynasty GC, Tianjin Warner International GC, Grand Shanghai International G&R, Orient Xiamen G&CC, etc.